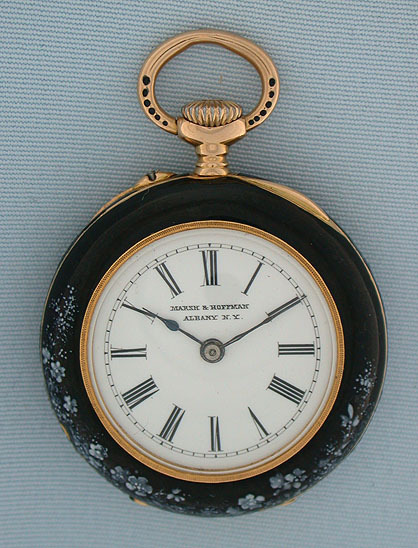 Fine, beautiful and unusual Swiss 18K gold and enamel ladies antique pendant watch by Ed Koehn, Geneva, circa 1890. 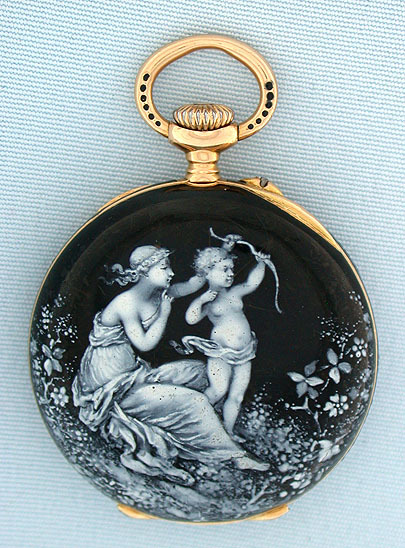 The case back with white enamel woman and cherub in a garden against a black enamel background, the front bezel with similar decorations. 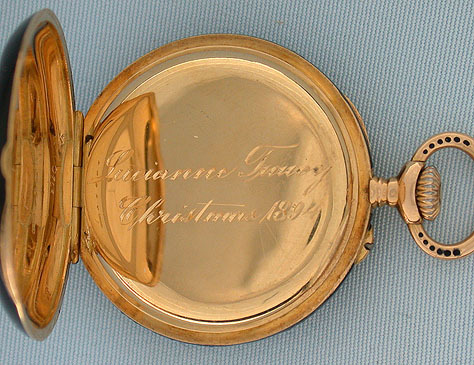 The bow decorated with black enamel. White enamel dial with blued steel hands. 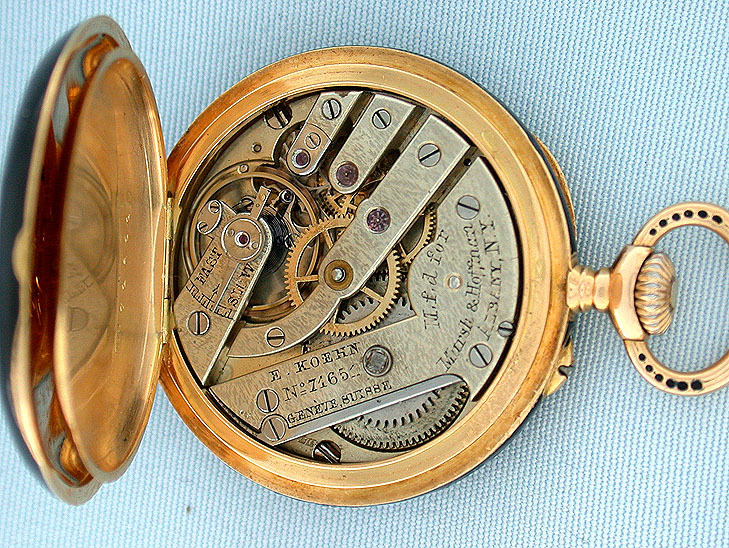 Fine nickel damascened 17 jewel movement.